Mothers day pressie, originally uploaded by indiaeden. Nothing like some lovely pressies to help cheer up the day. This is my beautiful Mothers Day gift that got stuck in customs, so I only received it yesterday. It's so beautiful, I really love it, and the chain is long enough that Florence just sits on my bump right next to her baby brother. Also arrived today, my birthday pressies! My birthday isn't for another week or so, but since I chose these myself and ordered them myself I didn't think there was much point keeping them wrapped up until then. 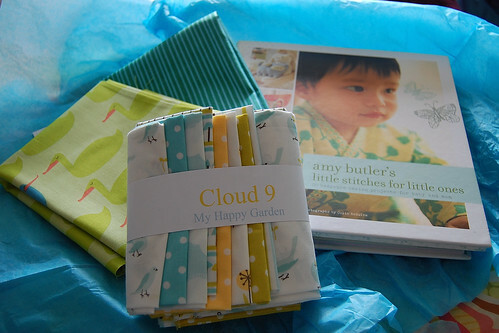 I'm so excited about the Cloud 9 fabrics, I love Michelle's work and can't wait to plan what to do with these. The Red Letter Day fabrics are lovely too, perfect for a little baby boy I think. Finally the book, that was a bit of a last minute choice. I'm not sure there is really much in it I'd want to make, but I love to just look at the pictures. Thank you so much for the comments left yesterday, and all the hugs and kind words I received by email. Yesterday was tough, and honestly I'm still a bit wobbly today, but baby boy is kicking away and I'm trying to think he's letting me know "Hey Mummy I'm OK"...silly, but if it gets me through. 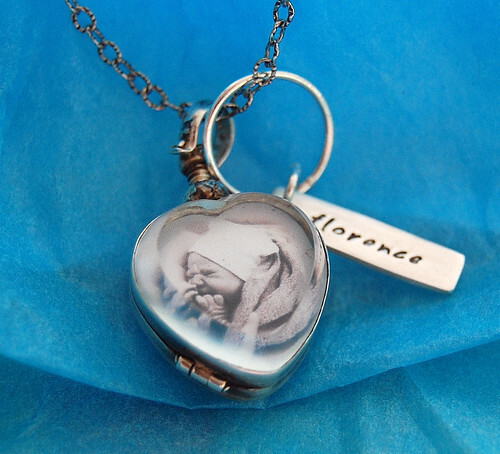 that locket is LOVELY ! where oh where can i get one???? Oooh, you got one! Gorgeous! I should get a commission! 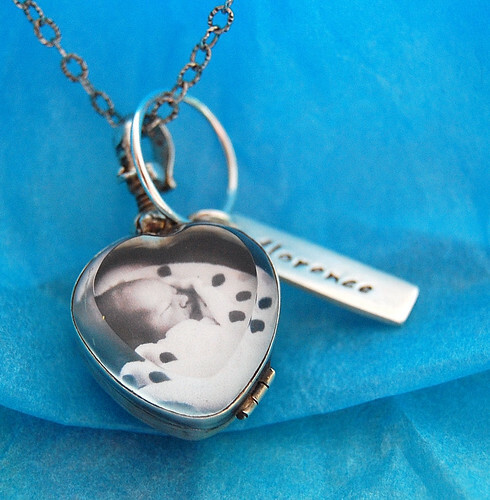 A beautiful locket, an heirloom to treasure.